If you think you know everything about your property, think again. Having a professional survey conducted can give you a better picture of what your property has to offer. Here are five reasons to survey your property in Florida. A survey, also known as a certified property boundary report, is a study conducted by a licensed surveyor which outlines and defines all the unique characteristics of land, as well as any improvements which have been made to it. To conduct a survey, the licensed surveyor may rely on a variety of property and county records, though these will not be the only tools they use to determine their results. Surveyors will also utilize Global Positioning Systems (GPS), Computer Aided Drafting (CAD) and Robotic Survey Systems (RSS) to reach their fully independent results. Boundary lines for the land or lot in question. Notes on where any improvements are located on the property including the distance between each improvement and the property’s boundaries. Disclosures on specific characteristics of the property, including utilities, easements, boundaries, and encroachments. Determining boundary lines is one of the most common reasons a landowner decides to have a survey conducted. Knowing exactly where boundary lines are located is crucial information before constructing a fence, in addition to a home, or pave a driveway. Should property disputes arise in the future, a professional survey is admissible evidence in court, and if any mistakes are present in the report, it allows a potential buyer to object to the title of the property before closing on any sale. A professional survey will show any conditions which have been imposed by law on your property’s title report, as well as any relevant other agreements. If the property blocks a neighbor’s access to the road, for example, there may be an old agreement (also known as an “easement”) that gives them the right to walk across the property to access the street. A licensed surveyor can certify that any improvements or alterations which have been made to the property are not in violation of any applicable building codes and if they are, how they can be altered in order to be in compliance. It may be apparent if a property is zoned for commercial or residential use, but a survey can help inform a property owner, or potential buyer, if a particular zoning classification the property may be under places certain restrictions upon it. Once a survey has been completed, you should contact an experienced attorney to discuss the results, as well as issues such as zoning compliance, right away. Call the Law Offices of Patrick L. Cordero for a free consultation today at (305) 445-4855. This entry was posted in PROPERTY on August 17, 2018 by wpadmin. Purchasing your first home is both exciting and frightening. With so much to do, however, the process can be overwhelming. 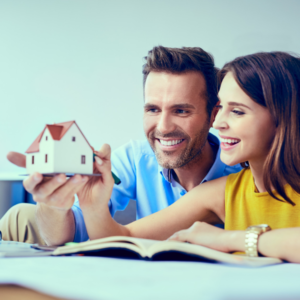 Fortunately, the Law Offices of Patrick L. Cordero are here to provide advice on home purchase aspects you shouldn’t overlook. Here are some helpful tips for first time home buyers in Florida. One of the most critical things to consider when it comes to purchasing your first home in Florida is the price. Sitting down and determining what exactly you can afford is the best way to begin any search for first time home buyers. When considering how much you can afford, there are several factors to take into account. Generally, people commonly put 20-percent of the home’s price as a down payment. While many lenders will accept much lower than 20-percent – in fact some require as little as 3-percent down – it is advisable to place a minimum of 20-percent down. Why? Placing a higher down payment means reduced costs down the road, meaning you give yourself more financial wiggle-room should any issues arise. Knowing your credit score is as important as a down payment – if not more! Having poor credit may disqualify you from certain (or all) mortgage options. Having great credit also means that you are a more trusted borrower, meaning you will be offered much lower interest rates by lenders. Just as important a knowing your finances is knowing the property you wish to purchase inside and out. Having a thorough knowledge of a home does not simply mean taking several tours of it, flushing the toilets and measuring for curtains. To truly understand what you are getting yourself in to, make sure that the house is fully inspected by a licensed inspector. A full inspection will allow you to understand any issues with the structure of the home, as well as wiring, plumbing, roofing and a whole host of other issues. In addition, a survey should reveal if the property has any code violations, tax assessments or liens placed upon it by local, state or federal tax government, which you may be liable for in the event of a purchase. Besides the purchase contract, also be sure to pay attention to the mortgage document, including the payment details, the promissory note and any nuances which may be contained in the mortgage itself. It is always a good idea to work with an experienced attorney when dealing with complicated documentation. If you are a first time home buyer in Florida, you should contact an experienced attorney to discuss right away. Call the Law Offices of Patrick L. Cordero for a free consultation today at (305) 445-4855. This entry was posted in BLOG, PROPERTY on July 17, 2018 by wpadmin. Establishing a primary residence is important, especially when it comes to financial matters. The IRS offers tax breaks on the sale of homes to the tune of the first $500,000 for married couples, or $250,000 for individuals. The catch? The home in question must be the primary residence. In the same vein, having an established primary residence can help you save the home during bankruptcy proceedings. Regardless of the reason, establishing a primary residence is a great financial idea. Here is our helpful guide on how to determine your primary residence. The Internal Revenue Service does not have a specific definition as to what a principal residence exactly is. However, a principal residence can simply be defined as the place where an individual or their family spends the majority of their time. Establishing a property as your principal residence means you must spend the bulk of your time there, whether the dwelling is owned or rented. Ownership itself does not make a property a principal residence. Where do you receive the majority of your mail? Which address is listed on your driving license? Which address is listed on any vehicle registrations? Where do you list as a residence on your tax returns? by filing in the office of the clerk of the circuit court for the county in which the said person shall reside, a sworn statement showing that he or she resides in and maintains a place of abode in that county which he or she recognizes and intends to maintain as his or her permanent home. This declaration also applies to individuals who wish to have their Florida residence as their primary residence, but who own properties in other states or abroad. The declaration must include the address which will be named as the primary residence, including the city and county, as well as a list of all other properties which are owned elsewhere. If you are finding yourself sinking in a sea of debt, but want to protect your hard-earned assets, you need to contact an experienced bankruptcy attorney right away. Call the Law Offices of Patrick L. Cordero for a free consultation today at (305) 445-4855. This entry was posted in PROPERTY on July 2, 2018 by wpadmin.